It can be used reliably by KTC. I think that there is no mistake if you buy KTC because cheap goods are relied on reliability. This review is about item#7129096. I also bought a wrench along with the socket. You can buy it at a great price, and there is no problem with accuracy. The length is just right and easy to use. This review is about item#7129035. No complaints KTC. It is a tool that is easy to convey power firmly. KTC brand tools can be used with confidence without worry of deformation. This review is about item#7129141. ktc is highly accurate and can be used with confidence. Although the price is a little expensive. This review is about item#7129105. It is amateur's maintenance. I often arrange the tool (size) that I use frequently with maker objects such as KTC. Although it is cheaper to buy it in a set, whatever it is high ... · · ·. This review is about item#7129053. After all, the tool of KTC is the best for efficient work. While also looking at the fit to the bolt, you can work with confidence. This review is about item#7129123. I bought it for the breeder plug at brake oil change. This length is appropriate for me. As tools are aligned with KTC, this is also a part of my tool. This review is about item#7128947. 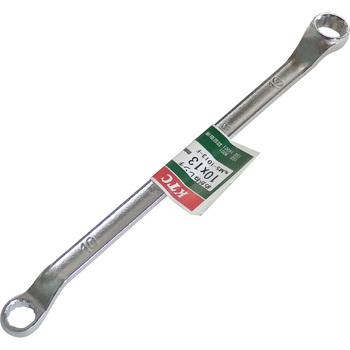 Including KTC With other old manufacturers' wrenches that have more angles when other manufacturers also wrench, since the wrench slipped from the old nut many times so far and his hands are injured, expecting a shallow angle 21 Try buying the century version 22 X 24. If I thought it was lighter, it was heavier than I 's cross - section stablies etc, and the corners of each part are standing more than anything, so I put in my bare hands and hurt and hurt. Since the person who is ahead also does not drop the corner, it gets scratched easily when hitting the object. It's too easy to use, so I use it with a paper disc sander and it's quite easy to use. Old product is good or bad. The developers are not using themselves as products. Disappointed with a major company KTC. Thanks to the I cut section, it is light. The power fit of the glasses part is done very well, The 45 degree x 6 degree shape is also easy to use.